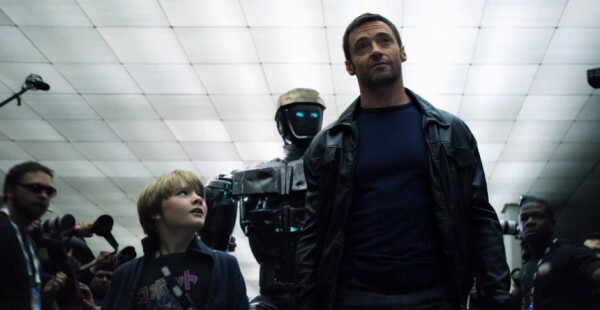 CAST: Hugh Jackman, Dakota Goyo, Evangeline Lilly, Kevin Durand, Anthony Mackie, Hope Davis, Olga Fonda, Karl Yune, James Rebhorn. SYNOPSIS: Tired of watching humans fight, impressive robots are built to battle each other in the ring and shipped all over the world for competitions. Some, however, fight in the dirt and their owners have to drive day after day to find the nearest fight. Charlie Kenton (Jackman) is struggling to find enough money from these small fights to keep the debt collectors away. But when his 11-year-old son Max (Goyo) turns up after unexpected circumstances, the two of them find Atom, a robot who may give them a chance to both rebuild their relationship and reform the sport.